In a historic election that saw two black women competing to become mayor of the nation’s third-largest city, voters in Chicago Tuesday night chose Lori Lightfoot to become the first black woman and the first openly gay person to lead the city as its mayor. Lightfoot, a former federal prosecutor and relative political newcomer, trounced her opponent, Toni Preckwinkle, president of the Cook County Board of Commissioners and chair of the county’s Democratic Party, by a margin of nearly 50 percentage points, the Washington Post reports. 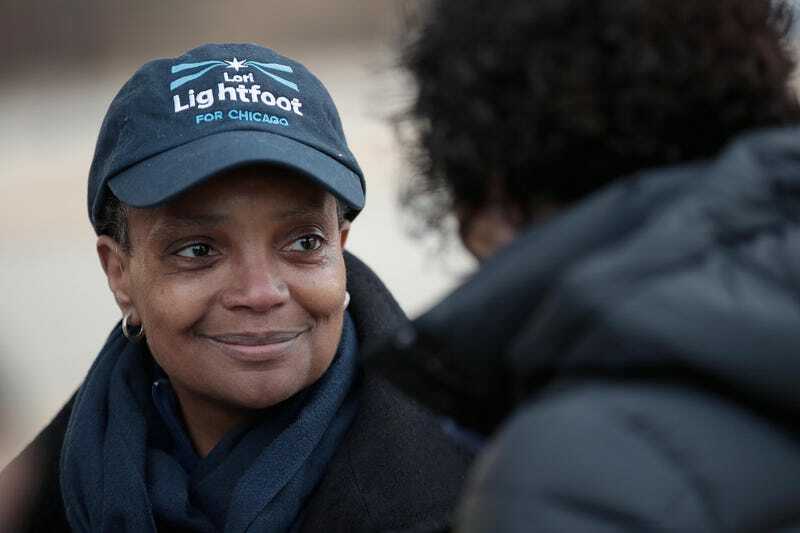 Lightfoot ran on a campaign of reform and said she would focus on bringing investments to the predominantly black South and West sides of the city, reports the Associated Press. After a campaign marked with sharp barbs on both sides, Preckwinkle said she called Lightfoot Tuesday night to congratulate her. Lightfoot will take the oath of office May 20.